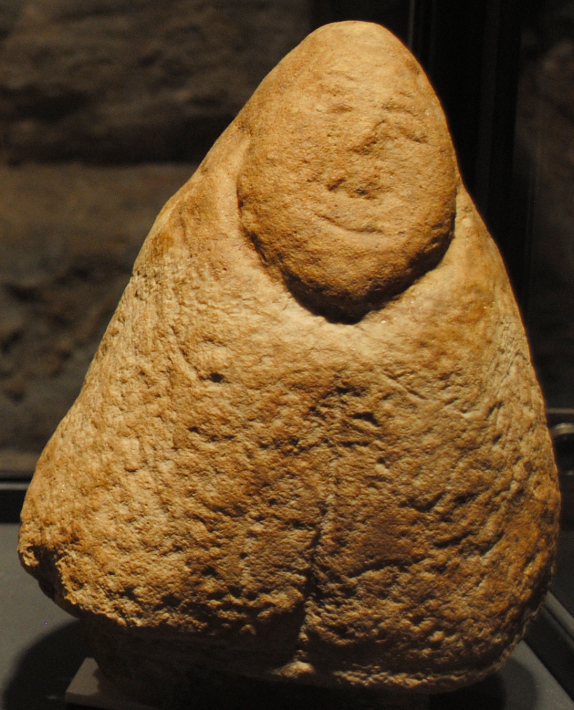 On display as part of an exhibition at Birdoswald Roman Fort is the above stone figurine. The small figure is of a god called Genius and is of a type called Genii Cucullati (meaning hooded spirit). Wearing a full length hooded robe, such figures were spirits of place and both stone altar pieces and small votive figures in rock and bronze have been found throughout Roman Britain and Gaul. Genii Cucullati sculptures resemble those of the Greco-Roman deity Telesphorus who was the son and hooded attendant of Asclepius. Like many mythological figures, Asclepius was trained by the wise and gentle Chiron (a centaur and tutor of heroes) and became a heroic physician (Illiad). As the son of Apollo, the god of medicine, Asclepius himself was transformed into a god and his birthplace became Epidaurus, the major centre of his worship in ancient Greece. His son Telesphorus was also depicted cloaked and he was the protector of children and deity of fertility with his powers lying in the realms of sleep and dreams. Small carved cucullati have been found on the continent as grave goods which suggests they were viewed as protectors both during life and after death. Ancestors of the Landvættir (spirits of the land in Norse mythology), the Genii Cucullati derived from popular tradition and were a deity connected with the earth, agriculture and healing. The Genius (guardian spirit of a person) also represented the creative power of a man and was associated with the continued well-being of the family. Slaves swore oaths by the Genius of the head of the family and offerings were made to it on his birthday. The equivalent of the male Genius for women was her Juno. These wonderful sculpted figures represent a multitude of religious connotations and often appear in trios.